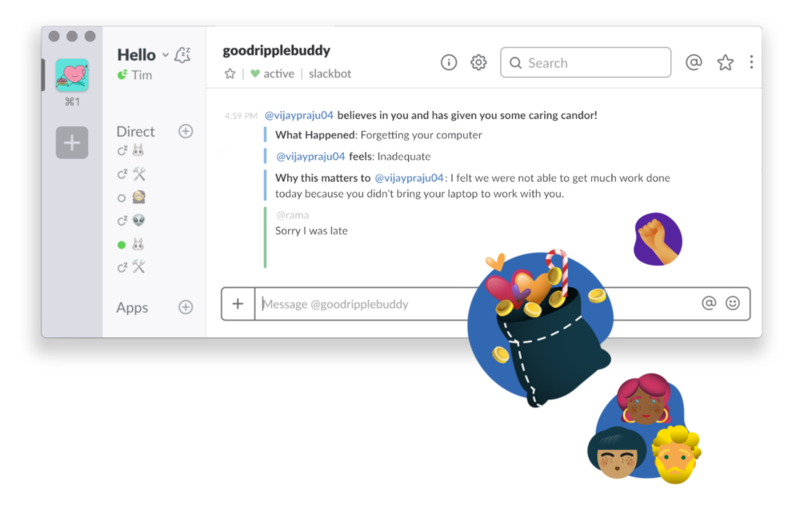 We help you have hard conversations productively with your boss, coworker, direct report all on Slack. Are you a Company & People leader? Build company culture at your organization that will help you win at business. With GoodRipple. Company culture is shaped directly in positive behaviors that GoodRipple helps make happen. Everyone feels more valued, connected and happier. Your share price will thank you! Coworkers are having fun at work. What are you waiting for? Cool things about the future of work & company culture sent to your inbox 😄.